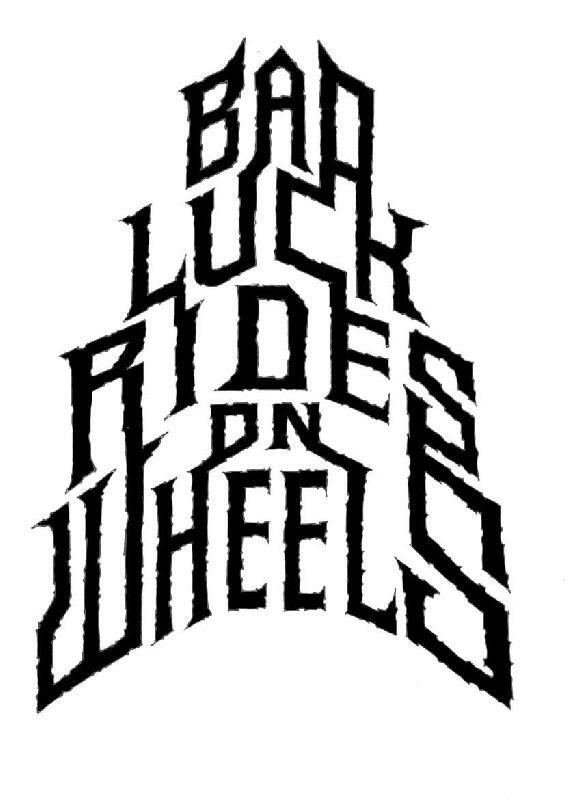 BAD LUCK RIDES ON WHEELS is a doom drone sludge metal unit calling out to the few sincere and dedicated since early 2004. residing at the misty foggy sea side of northern germany and playing with various experimental line ups since back then a 6 weeks europe tour with WHOS MY SAVIOUR in fall 2004 got settled without any song recorded prior to that. decisions had been made to stay as a trio after that with getting Pierre Bernhardt as a stable drummer. rehearsing 2 long and cold gritty winters in northern rostock wasteland the band used time as a given gift to precise tone, composition and expression. now a selfrecorded 3 track demo in their hands a tour with madrids low end sludge machine MOHO over germany and denmark saw life in november 2006.
a first official release has been done joining forces with WIFAGENA RECORDS in May 2007. 80 Minutes of pure bad luck in tone on 2 Vinyl gatefold/ digipak cd and both including a dvd with clips and shows captured and produced at av media lab at MS STUBNITZ , a place the band felt heavily connected and got involved with since its inception. deep down from the bottom routed in a DIY mindset and kindred spirits their next cruise led to a split lp with bordeauxs AGUIRRE and a 2 weeks eastern europe tour in spring 2009 followed by more abroad touring spain, france and east europe during 2011 and 2012. 2nd full time long player “serpentine” got released in 2013. progressing compositions and shifting towards double lead post metal and phyrygian ambiences the band got into an endlessly seeming spiral of troubles, serious mental sicknesses and and tragic incidences following the serpentine release. all unwanted and unresolved fuzz resulted in parting ways with each other and a hiatus period. back to activity and faith in 2015. stepping down to the dirty cold practice cave again and rehearsing for the rats. escapist mode. dungeon metal. stripped down basic to the bone and bass driven hypnotic doom. downtempo sludge reduction. lyrical components handle harmony of elements, celestial spheres and sacred geometry. back on the map 2017 the band toured europe with brazils black metal thrashers VAZIO now aiming to record for a new 2018 longplayer this coming march and a europe tour scheduled later this year with tokyos finest GUEVNNA. electric sabbath action doom deep down soaked in a time spiral measuring equal parts 70's sabbath proto rock riffage in a loop scheme backbeat groove formula and tritonus stoner weed scales confusion master has been brought to life in autumn 2015 in houses of weird homes close to the northern misty shores of baltic sea named to rostock germany. supposed to the way it should be 4 dudes from the punk metal circuit sharing beloved issues of sound, misanthrophy, diy values and vintage gear. first show set to march 2016 supporting primitive man and magrudergrind things got kickstarted ever since quickly. 25 shows done until autumn 2016. tours and shows lined up with the likes of dopethrone, spitting nails, crowskin, bongzilla, beehover or black shape of nexus confusion master are set to spread the word fast. on vinyl through germanys exile on mainstream records set for spring 2018. the release schedule will accompanied by more touring. japan cd release tour teaming up again w.guevnna may 20-27 and a european run w. southern lord chicago based like rats sep 7-16.
confusion master share key members with cyness, wojczech, bad luck rides on wheels, aequatorkaelte and total panic reaction past or present. 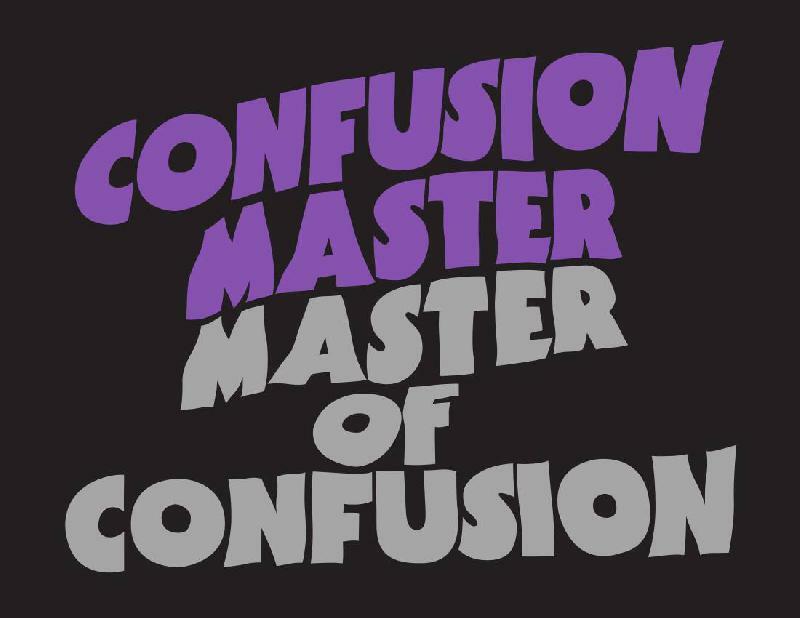 confusion master main focus lies in reduction in every possible way thinkable musically and ethically down to the core. existentialism, escapism and the horror of the individual existence within.